The meeting minutes found here indicates hat Policy Statements, 73.0, Student Use of Personal Electronic Devices in the Classroom, be amended to read: LINK WHERE did the word BAN come from? please not use the world ‘BAN’ here? Could it give the wrong message? How about we advocate for ‘Safe Use’, or ‘Education/Training is needed’ or, ‘Helping students and teachers navigate online tools? I use cell phones in the classroom. I also use as much social media, web 2.0 and chat tools with my students as much possible. I have two specific reasons: First, it is these tools that provide assistive technologies and needed accommodations to many students that would/could not otherwise succeed in a system that is meant for the mainstream of learners. Second, What I’ve come to realize, as both a parent and teacher is that unless these tools are explored, discussed, shared and scrutinized in the classroom by knowledgeable and informed educators – with kids – that THEY (our students) are going to have little opportunity to explicitly learn how to use them effectively, safely and appropriately in the real world. We know that cell phones and similar tools are becoming (or will become) a way of communication in the future. It is for that reason, that Parents, Educators, Teachers, Instructors, Professors and of course Learners need to step back from the podium of teaching and find ways to integrate, moderate and balance the safe use of these tools instead of banning them. I wonder, would better training/education about these tools for the students, parents and teachers be more practical? What if the real problem (or reality) is that the way we are teaching students needs to change? In the winter of 2011, the Ontario Teacher Federation Publication, “Voice” also showcased and applauded use of cell phones and other devices in the classroom.http://etfovoice.ca/back-issues/2011/V14N2_WINTER_11.pdf “Opening the door to student-owned devices, means facing the challenge of dealing with a number of computing platforms in our classrooms”, writes David Curruthers, an Ontario classroom teacher. 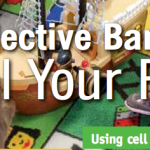 Further, the June 2013 issue of Professionally Speaking features the latest gadgets and tools that are designed for the classroom, including cell phones. Allowing cell phones in my classroom was difficult, but how can I, as an educator put barriers on the very tools that students are using in the real world? Isn’t that my job as a teacher, to prepare them for the world they are living in now and the future? I had to spend many classroom hours developing trust with my students as well as inviting parents and community into my class often. This included teaching them social skills when using these tools, appropriate use and balance. In the end, it allowed me to step back from that need to ‘control’ the environment in every which way and facilitate a classroom where rich inquiry driven projects could be at the basis of teaching and learning. 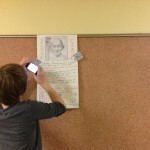 This entry was posted in 21st Century Literacies, cell phones and tagged cell phone, Teacher Federation. Bookmark the permalink. ← Are students Accountable for their I.E.P’s? Very well said Zoe, thank you for taking the time to explain the how, the why and the process. Much appreciated. Well said! I think that most students (or people in general!) need to learn to use tools appropriately. Too many kids hear “you may use your personal tech for this activity” and take it as blanket permission to check Facebook an play angry birds. The same thing happens when a teacher hands out math linking cubes, and the kids start building guns (girls and boys). It is another challenge to classroom management, but I love it when my disorganized or LD students take a picture of the board to make note of a new term or assignment.